Mead—Mix and Make—the Wiccan way. “You’ll have to open it,” John said. When I was in my mid-20s, I brewed mead. However, I lost my equipment in the move from my childhood home. It had been a long time since I brewed anything, so I needed a refresher. So, I purchased a book about mead-brewing. I eagerly read the book—and that takes some doing since I’m dyslexic. Learning about Vikings and how they brewed mead had my attention. Today, I am once again excited to try my hand at brewing mead. However, this time I am trying an open-air brewing technique I found in the book. It’s brewing done old school—like our ancestors did long ago. Along this line, Wiccans like brewing mead. Instead of using commercial yeast, I will be harvesting wild yeast. This is something our ancestors did at the beginning of their brewing exploits. So, I gathered up all the equipment and ingredients that I needed, including a rod to mix my brew. I would dedicate my mead-brewing efforts to the God and Goddess. I wanted to make the mixing rod a sacred tool. Therefore, I wrote a blessing to imbue my new mixing rod with the powers of the God and Goddess. In the next days, I’ll see how my renewed interest in mead-brewing goes. Are you considering adding something new to your daily activities? May your adventures go well. Check out my site MoonwaterSilverClaw.com for spells and more. “I don’t think I’ll ever do that supper ritual again!” my friend, Amanda said. “We invited the spirits of our dead friends and family members to the ritual supper, and they did NOT leave! Over the next days, I felt really depressed. I later learned that my friend, Alex, was hovering near me. I was being haunted,” Amanda said. We (my coven) will soon hold our annual Dumb Supper. This is a ritual meal eaten without talking or even making a peep. You invite your deceased loved ones by setting a place for them at the table. It is so nice to visit with departed friends and family members. Sometimes, you can hear them, and sometimes they show signs that they are present. For example, one of my coven mates told me she saw a sign swing back and forth waving “Hi.” It really moved her heart. Be sure to “kick out” departed friends and family members after the celebration is done. You do not want them hanging around. After you have shared your time with them, make sure they go back to the Land of the Dead where they belong. I have heard of situations when a departed family member desperately tried to express his sorrow and attempts to apologize. Unfortunately, the living family member felt depressed or even scared. Ever wonder what you should and shouldn’t do during Samhain? Here are some quick tips for this Sabbat. This is just a partial list. Honor your departed friends and family. Samhain is my favorite Sabbat. We honor those who have crossed the Veil with offerings and recalling memories of them when they were alive. When you make offerings and bring up memories of your loved ones who have crossed over to the Summerlands, you bring them alive again in your own heart and others’ hearts. Some things you can do are simple. You could fix their favorite meal or drink. Give them a toast with that drink with good energy and love. The most important thing … Have fun! This is a joyful time where we get to get to visit with our departed loved ones. Do you think that they want you to be sad? No. Our departed loved ones want us to be happy. When you see or hear your departed loved ones, allow a smile to rise to your face. And, it’s also okay to have tears of joy when being reunited with departed loved ones. Don’t get upset with the Mundanes. Don’t fret over the general society’s way of celebrating Samhain. Yes, they have taken and distorted some things from us, Pagans. Be kind. They don’t know any better. Instead, enjoy the festivities. You don’t have to be a downer to the Mundanes. Hand out candy. And have some fun. Don’t do your ritual on the October 31st . There will be too many distractions with answering the door and handing out goodies to the little ones in the evening. This is the reason why many witches celebrate on either the weekend before or after October 31st. Don’t forget the Ancestor Altar. Having an Ancestor Altar is really fun, and it’s a must for Samhain. Decorate your altar with pictures of passed loved ones and include your departed pets! Witches love their animals. And yes, they go to the Summerlands, too. Just imagine … those of us who have had a lot of pets over the years, we’re going to get mobbed with love when our numerous pets greet us in the Summerlands! These are just some of the do’s and the don’ts. Consider asking others about their experiences. We can learn from each other. Let’s make this Samhain one to remember fondly. Feeling alone plagues many of us. This relates to an essential question: Who guards you? You guard you, with the God and Goddess. Spirit Guides can also assist you. (For more about finding your spirit guide, see my post here.) My Spirit Guide is Linda (visible in the image with this post). The idea of who guards you is a big topic because a significant number of us have, at least subconsciously, overindulged in food to develop a big body as a shield. Think about it. With a big body, the scared, vulnerable you on the inside might feel safe. As I write about Goddess Style Weight Loss, I observe the idea that dropping weight can be like dropping our shield. Why would we do that when the world proved to us that there are those who have hurt us—and others who might hurt us still? In place of the big body, what or who will protect us? The God, Goddess and Spirit Guides are with you always—24/7. “But I don’t feel Their presence!” Rita said. This is understandable. Why? Because we’re often under the assault of “The Monkey Mind.” That’s the part of our thinking that “chatters” with distractions and fears. The next step is to identify when, where and how you can feel the presence of God, Goddess and Spirit Guides. We see Their presence every day. From the grass between our toes to the rocky mountains that are Their cathedrals. We can Cast a Circle and do a ritual which takes us out of our daily, Monkey Mind, routine. But what about inside of us? We are even distracted by feelings in our bodies. There is a solution: Eat in healthy ways. Eating healthy helps us run our bodies with the fuel they were meant to have. Goddess, through human history, has provided the bounty that sustains us. It’s only in modern times, when people have poisoned ourselves with processed, so-called food. Realize that with healthy eating choices, our bodies will run better and with that comes a tighter bond in the ever loving arms of the Gods. In this way we will be closer to Them, and we have a better chance of physically feeling Them within ourselves. It’s easier to connect with God and Goddess during a meditation if your body is not suffering from feeling bloated. To bring this full circle, we’re been talking about who guards you. You guard yourself by making healthy choices. Even better, when you do things to reduce the distractions of the Monkey Mind, you open the door to the presence of God, Goddess and Spirit Guides. Just like being in Circle, you can have a spiritual experience when you go Goddess Style: Eating from the earth and honoring the beings you consume. Having a big body apparently was something I needed at one time. Now, I’m focused on who really guards me—myself, God and Goddess. Would you like to make the transition to feeling the presence of God, Goddess and Spirit Guides? The best way I can answer this is to share with you the journey of two people: Rhonda and Jerry. 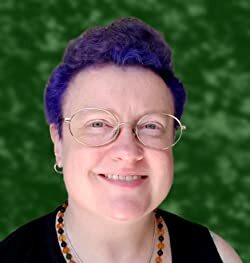 Rhonda found her experience to be one of intuition and simply flowing into the presence of the Goddess Hecate (known as the Greek Goddess associated with witchcraft and prosperity). Rhonda wanted prosperity to flow into her life. At a bookstore, she reached for a book on Wicca. Rhonda was surprised when the book opened to a page that informed her of Hecate. On the other hand, Jerry went on a conscious quest to find a God to connect with. He studied various pantheons and saw which pantheon interested him. He found that Nordic Gods have a certain fascination for him. Jerry took special care to study what Odin finds to be suitable offerings. Under the guidance of an elder, Mark, Jerry cast a circle and made an appropriate offering to Odin. 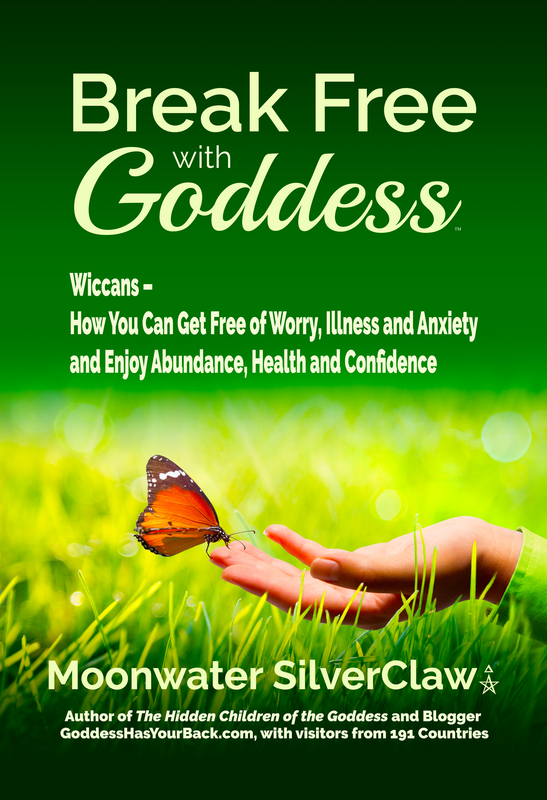 In summary: Whether your God/Goddess finds you, or you take a journey to find Him or Her –Wiccans discover various ways to connect with a patron God or Goddess. My question for you is: Does the idea of reincarnation connect with your heart on some level? We all start in the spirit world as spiritual beings. Before we come down to incarnate into a new body, we talk with our spirit guides and other beings. We decide what lessons we want/need to learn. We map them out and place lessons into our upcoming incarnation. Our obstacles have a gift for us. We also work together with other souls to help them learn and grow. We agree before we incarnate who our parents and friends are. Let’s say you want to learn compassion. You and another spirit talk and agree that this spirit will help you learn. In your life, you marry this person (spirit), and your spouse creates opportunities for you to learn that lesson. Some can be intense. What if you have a spouse with clinical depression or an addiction to oxycodone? This is an opportunity to learn compassion and forgiveness for your spouse. What is a Soul Group? We are grouped with souls that vibrate at the same level as we do (our Soul Group). One of the great reasons we want to incarnate on the physical plane is to learn lessons and to meet and be influenced by higher vibrating souls. In this way, we hope to raise our own vibrational levels. A number of authors suggest that reincarnating is the opportunity for us to raise the frequency of our vibrational level. It’s suggested that at higher levels of vibration we can better connect to deeper levels of the truth. We can then move on to higher realms in the spirit world. Ideas about the importance of reincarnation arise in Wicca, Buddhism, Hinduism and more. A view of reincarnation can even bring us comfort. When we hear of children dying, we can hold the view that they will have another opportunity in a future incarnation. Death is the graduation of the soul to a new life. May your understanding of reincarnation comfort you. Mark noticed that he was hit with a number occurrences that people often call bad luck. Things like: the alarm clock fails which makes one late for work. Appliances malfunction. You name it. Mark paused and reflected: The previous owner of the statue had a streak of bad luck—job loss, divorce and then death! Mark placed an amethyst crystal inside the statue. You see, amethyst turns all negative energy into white light. Problem solved, right? Three days later, Mark checked on the crystal, which had turned completely black. Next step, he packed the statue with blessed salt. But things still kept going wrong in his life. What to do? Mark took the cursed statue to a bridge over a body of salt water and tossed it in. Why? Using both salt (in the water) and earth (the floor of the bay), Mark had found a way to protect himself and other people from the cursed statue’s influence. Negative or pesky entities have many forms. I’ll now share four methods for dealing with negative entities/energies. Some Wiccans find it helpful to strike an iron bell as a self-defense method when dealing with unruly Fey individuals. If you need to defend yourself, know that the Fey find it painful to hear a person ring or bang on iron. Such noises drive them away. Why? Because iron severs the connection to the natural energies of the earth, trees, water and other energy-generating elements. Iron will bind the Fey’s magick. Additionally, the Fey use the above energies for their magick. These elements are the source of sustenance for the Fey. So, if they are around iron for too long, they can die. Chinese individuals set off firecrackers to scare off demons and baneful spirits. This is one reason that Chinese individuals use fireworks during New Years celebrations. Wiccans often use salt to purify a space or even a person’s home. Negative entities often cannot stand being in contact with Wiccan holy water. In summary, the effective witch* uses methods like those above to stay safe and to live well. Many Wiccans say that Samhain is their favorite holiday. It’s the start of the Wiccan New Year. We have the chance to be reunited with departed loved ones because the Veil between the worlds is at its thinnest at this time. We invite our deceased loved ones into our circles and celebrate the New Year with them. Dressing in costume is a total bonus! This is a time when we can let down our witches’ locks and enjoy precious moments with family and friends. We play games and revel in much feasting and festivities. The use of the word “dumb” is based on a traditional definition referring to “unable to speak.” No one speaks during this meal. The deceased are invited to this meal, and they do not speak, either. A place is set for the deceased at the table. During this meal, you may often have the thought of deceased loved one pop into your mind. Some people even report smelling perfume that a departed loved one used to wear. 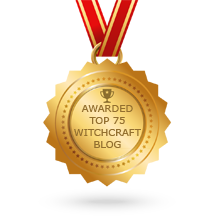 Divination is really popular on and around Samhain. I truly enjoy doing a reading for the coming year. Here’s the process: Go through your tarot deck and pull out the major arcana (cards) from the rest of the deck. Shuffle these particular cards. Keep shuffling the cards until you feel good that they’re appropriated mixed. Place the cards face down and then fan them out. Pass your hand above the cards, reach out with your feelings. Pick up a card that “calls to you.” Place this card face up on the table to your left. Then continue picking cards and put them down in sequence—left to right. Continue doing this process until you have all of the cards face up on the table. Each card from the first to the last represents the coming year. You’re viewing all of the full moons and Sabbats in order of occurrence during the year. 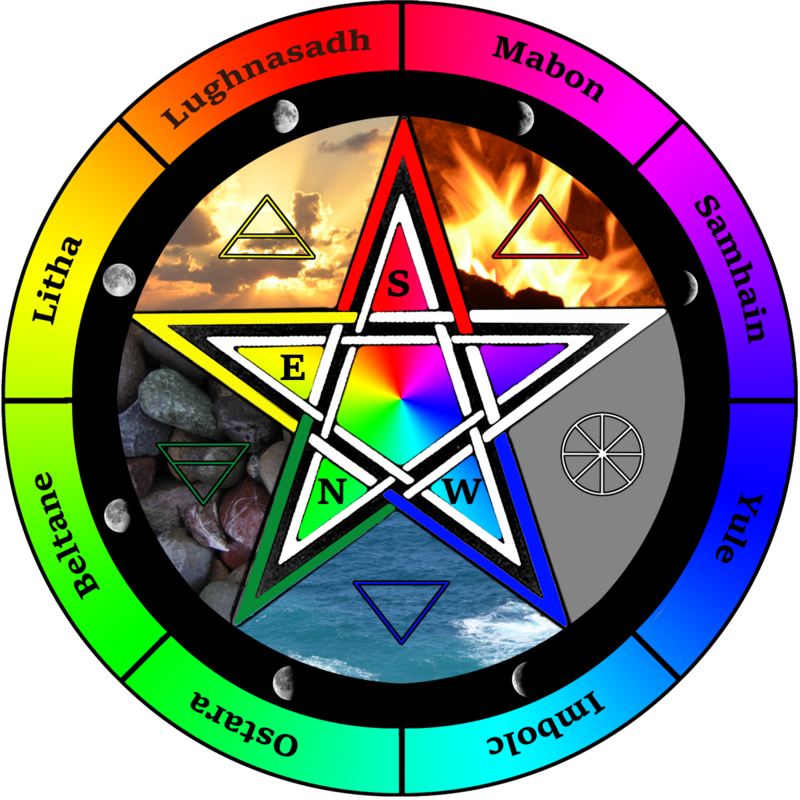 Consider viewing your favorite Wiccan calendar. Basically, compare the cards to the full moons and Sabbats that you see in the calendar. The first card goes with the first moon and so on. Read the card, and you will know what is foretold for that day. There will be one last card and that represents the whole year . During this form of party, you gather with friends and family to remember the good times that occurred with departed loved ones. (By the way, this works well when combined with the dumb supper.) Make an ancestor altar by placing pictures of departed loved ones and/or items belonging to them. Additionally, remember to honor your pets that have passed away. I hope you have a blessed Samhain.